A Pinterest Party! 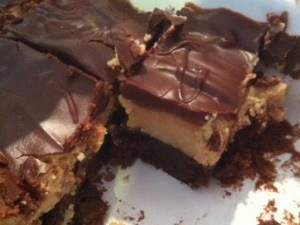 If you are on Pinterest you probably have pinned a project or recipe that you just haven’t had the chance to do. A friend of mine decided to have a Pinterest party to give us an excuse to complete a Pin or two! 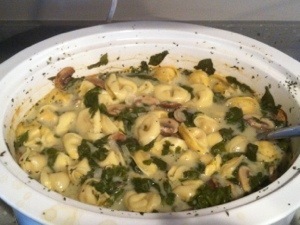 The idea was to bring a project to work on and a dish from a recipe that you found on Pinterest. First let me admit right now that my recipe was a bit lame, mostly because I didn’t prepare enough in advance so I had to go with something quick and easy. My friends and family set the bar pretty high so I may just be making excuses! The food was pretty amazing. I was a bit lazy, so my contribution was a cocktail. 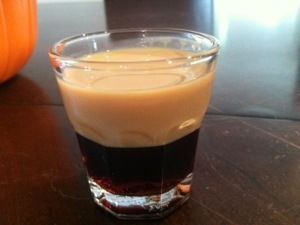 I call it a black and tan, or a stout shot, because it looks like a glass of dark beer. It is easy and yummy. 1) Pour some Coffee liquor into a small glass about an ounce or 1/3 of the glass. 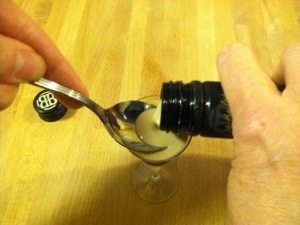 2) Hold a spoon just above the coffee liquor and pour an equal amount of Irish cream gently into the spoon allowing it to spill over – it floats! 3) Sip or gulp it down – but not too much because crafting while drunk can be dangerous. My sister made a Chicken Tortilla Soup which she says is her specialty; unfortunately I don’t have a picture because it was gone before I thought to take a photo! Or maybe I “forgot” to take a picture because I was jealous because she was always Mom’s favorite, HA! I just fell off my chair laughing, we all know who Mom’s favorite is! I can’t find her recipe on Pinterest, could it be that she cheated? I will have to hunt her down to get the recipe! As you can see we had some fantastic food and lots of fun. Next time I will share our craft projects from the party. Loved the cocktail(s) and the food, what a fun day, can’t wait for the next Pinterest Party! 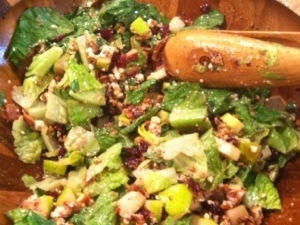 Everything looked and sounded so good—will have to try the salad first —then the brownies for sure !!! Do I get an invite?